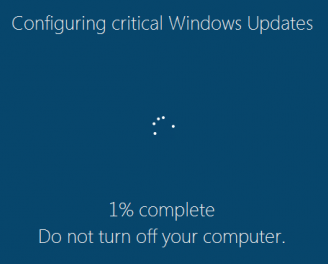 Repeat after me … Microsoft do NOT e-mail out system updates! 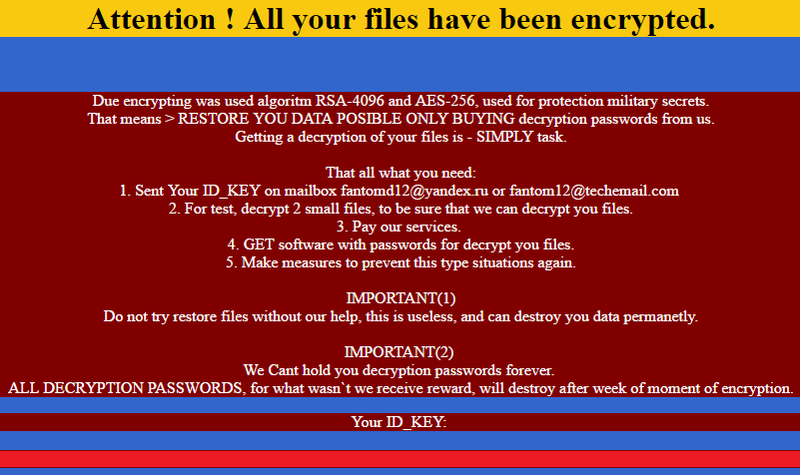 It’s Fantom Ransomware. More evil e-mail is coming to scramble all the files on your computer and then demand you to pay your hard earned cash in order to get back access to same. 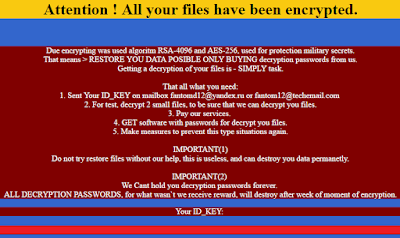 In other words you are being held to Ransom and so we get the term Ransom Software or Ransomware for short and this new one is called Fantom. 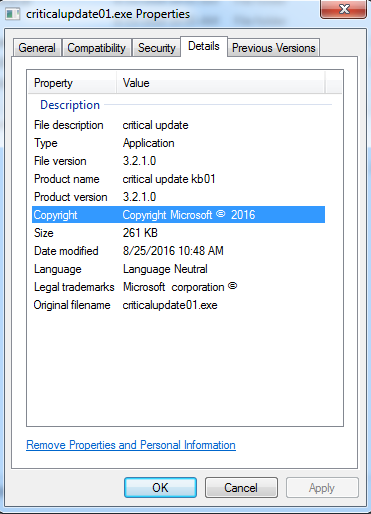 This e-mail will appear to come from Microsoft and indicate that it is a critical update that you need to apply to Windows. The evil doers put a bit of effort into this one in order to fool people like you and me. 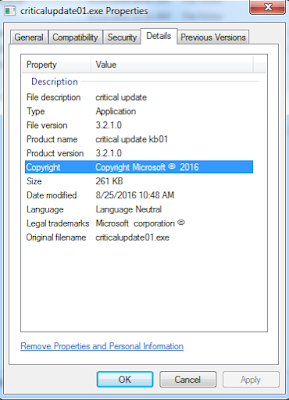 The file properties even say that it was from Microsoft and that it has “Critical Update” all over it. Fantom then goes one better. 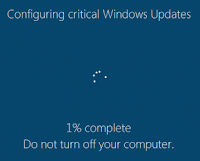 It actually puts up the screen that you are well used to seeing when legitimate updates are being applied to your PC. The thing is, it’s not configuring updates … it is scrambling the files on your computer such that you won’t be able to access them. You will wander off to get a refreshment and when it hits 100% – BOOM! Your files are now completely inaccessible, unless (a) you restore from backups or (b) you pay these criminals. There is an easy way to avoid this and it’s in the title of this blog post. Microsoft do NOT e-mail out system updates! They have complicated, yet ruthlessly efficient ways of getting updates onto your system and they certainly do not need to use e-mail to distribute them. The training that L2 Cyber Security Solutions delivers, will help you understand all of the angles that the evil doers take to get your cash and how you can easily protect yourself from them. You could also have a read through our Ten Commandments of Cyber Security. If you follow these, you really will be in a much safer and well protected position.